Nardwuar The Human Serviette News: Nardwuar gets interviewed !!! Nardwuar get interviewed! 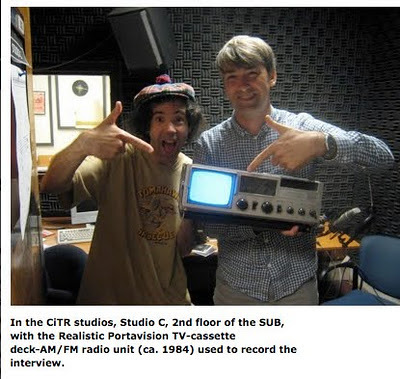 Thanks to Courtney Booker from the Department of History, University of British Columbia , (aswell as Hart Caplan and Sarah Romkey) for this interview that even contains video of Nard's History Project from 1987 ! Doot doola doot doo ... Flash Back!